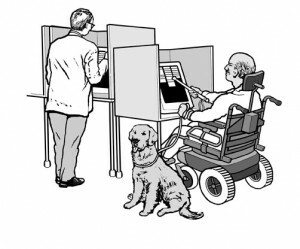 Washington, Sept. 20 – Last week, statistician Nate Silver’s FiveThirtyEight blog published an in-depth article examining the potential electoral impact of voters with disabilities in the 2016 election. This article, entitled “One in Six Eligible Voters Has A Disability,” documents in great detail the diverse demographics of the disability community and describes some of the crucial barriers impacting voting rights for people with disabilities. Reporting on a new study from Rutgers University, FiveThirtyEight stated that “approximately one-sixth of November’s electorate will be comprised of people with disabilities” for a total of “34.6 million” eligible voters with disabilities. This new report also finds that the number of eligible voting-age people with disabilities is growing faster than potential voters without disabilities. This research confirms past efforts by RespectAbility to estimate the potential power of voters with disabilities to swing the outcomes of competitive elections. In 2014, RespectAbility collaborated with Republican and Democratic pollsters on a survey of likely voters in battle-ground states. In total, this survey found that 56 percent of likely voters identified as people with disabilities and/or had a close friend or family member with a disability. “We are accustomed to thinking about ‘soccer moms,’ ‘Hispanics’ or ‘values voters.’ But this poll shows that Americans with disabilities – and those who care deeply about them – are a demographic we need to pay attention to in the future,” Republican pollster Whit Ayres stated at the time. Other researchers also have found a significant gap in the turnover between people with and without disabilities. Lisa Schur, a professor at Rutgers University and co-author of the new report, has previously documented how “the turnout gap between people with disabilities and people without disabilities is close to 12 percentage points, which amounts to about three million voters” whose political voices might not be heard. Faced with significant barriers and untapped electoral potential, leaders in the disability community have been working hard to raise the visibility of disability issues and make sure politicians pay attention. That is why activists such as Crosby King of Maryland ADAPT are taking to the streets to organize the first-ever vote disability march. Called The Feel the Power March, this historic effort will be a march/roll of disability rights activists from Baltimore to Washington, DC to raise the public visibility of disability issues. “We are 56.7 million strong, a substantial voting bloc that could swing this election one way or the other,”wrote King in a press release announcing the March. Beginning on Wednesday, September 21st, 2016, the event will begin with a “Call-to- Action” at McKeldin Square in the Inner Harbor of Baltimore. From there, activists and their supporters will march or roll the thirty eight miles to the nation’s Capital. The March will conclude on Sunday, Sept. 25, with a rally on the National Mall. For more information, please visit the March’s website. The timing of this Rally is critical, as it is the day prior to Democratic nominee and former Secretary of State Hillary Clinton and Republican nominee Donald J. Trump facing off in the first presidential debate. 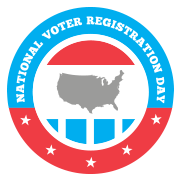 The next day, Sept. 27, marks National Voter Registration Day, of which RespectAbility is a partner. Interested readers can learn more about how to register to vote and about local volunteering opportunities by visiting Rock The Vote. Early voting starts soon, and many members of the disability community vote absentee. The responses will be used for individualized state voter guides presenting answers from all candidates in their Senate and/or gubernatorial races. The RespectAbility Report also will be covering these races from a disability angle throughout the political season.